Avery had a play date a few months ago and one of the moms made this delicious meal for lunch. I recreated my version and it has been a staple in our house since! Quick and easy with lots of nutrition! In a deep sauté pan, sauté the garlic in the olive oil for 2-3 minutes. Add in the onions and sauté for 5 minutes. Toss in broth, carrots, parsley and salt. 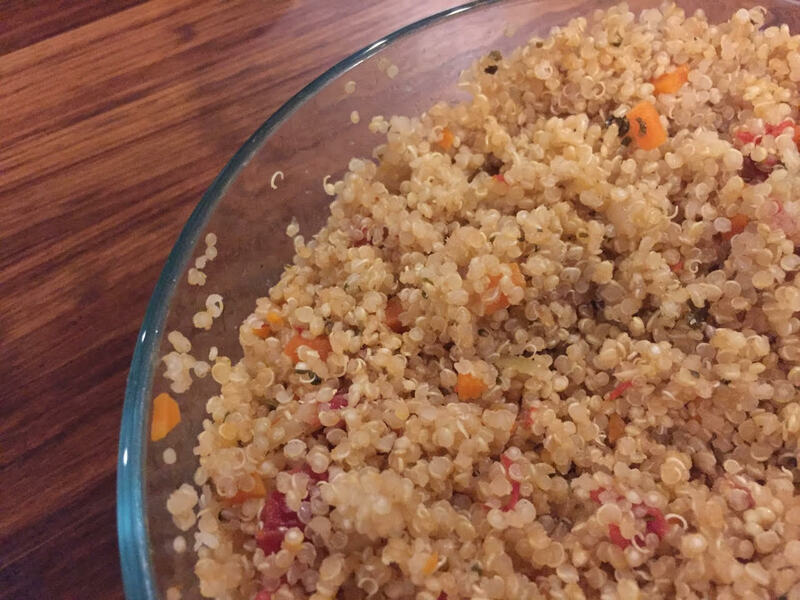 Pour in quinoa and can of diced tomatoes. Cook covered on low for 15 minutes or so until all of the liquid is absorbed and the quinoa is soft. Use organic ingredients if possible. Feel free to explore with other great veggies!